After writing and directing two “Crank” movies and the sci-fi flick Gamer, directors (Mark) Neveldine and (Brian) Taylor finally got around to tackling an established property with Ghost Rider Spirit of Vengeance, a film that brings Nicolas Cage back into the role of Johnny Blaze, but also has him portraying the biker from hell, the demon Zarathos aka Ghost Rider! 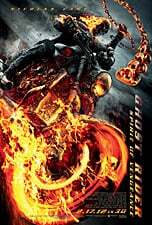 Ghost Rider Spirit of Vengeance opens nationwide in 2D and 3D theaters on Friday, February 17. Look for our exclusive interviews with Nicolas Cage and Idris Elba later this week.